Autonomy: Is This Just a Pipe Dream? I’ll start this by saying yes, autonomous vehicles have their advantages and can be beneficial to a lot of people, but no, I would never own one. Driving is too satisfying. Being in control on the road is important and how do I know the software in the car isn’t really something evil trying to kill me? You never know! But on a more serious note, apparently Apple and Google are having some issues with their self-driving cars. Apple laid off most of their engineers and Google is at a serious crossroad. Which company to partner with? Is this future something we just can’t achieve yet? Should we be working to achieve this autonomy for cars? Apple has not actually recognized the presence of their autonomous vehicle division. It has been, according to Tesla CEO Elon Musk an “open secret” known as Project Titan. The task, acknowledged or not, has encountered multiple issues. Spectators have been suspicious of Apple’s capacity to effectively manufacture self-driving cars with total autonomy. This is definitely a new, risky market for the company. Apple’s rivals in the race to autonomous cars seem to have clearer focus points. Google has a firmer balance in artificial intelligence. Tesla has expansive knowledge of vehicle manufacturing and real-world testers. Uber has a fairly clear-cut business plan. Google, with some of the best artificial intelligence in the world, still can’t muster together a proper business model or partners. They’ve made offers to Ford, Uber, Audi, and GM. They’ve been running into multiple issues getting contracts. It’s odd, to say the least, since they’ve been doing this longer than anyone else (2009). I was always rooting for Google. There was a lot of hype for autonomous cars in the last few years, but now people are beginning to ask the question: “Is it worth it?” I’ve been asking myself this question for a while. After an accident with Google’s car “bumping” into a bus and the fatal Tesla crash, government officials aren’t so sure fully-autonomous vehicles are ready for production. I can understand this: There is no reason to rush this process. Surely, every company should begin by getting the software programmed to work efficiently at 100%. Then creating a business plan with practical partnership. The software is the most important and complex part of an autonomous vehicle. Security is a large factor slowing down the autonomous race. Remember that Jeep Cherokee that got hacked a year ago? Fully hacked – Steering wheel, accelerator, and brakes. If a hacker gets into the mainframe of an autonomous vehicle, that could be alarming and I don’t see the public liking that one bit. 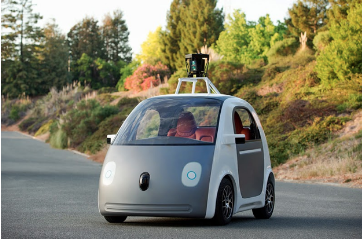 The first story of that hitting the news would kill most autonomous car sales. So yes, it’s exciting to think about an autonomous future – the fact that the human race has come this far. However, let’s take every precaution before it becomes capitalized and mass-produced without the programming and planning it clearly needs and requires. Pipe dream or not, cars with autonomy will probably exist one day soon. And I know once they do become available for consumers, believe me, I won’t be buying one. I love the drive far too much to give that over to a computer program in my vehicle.